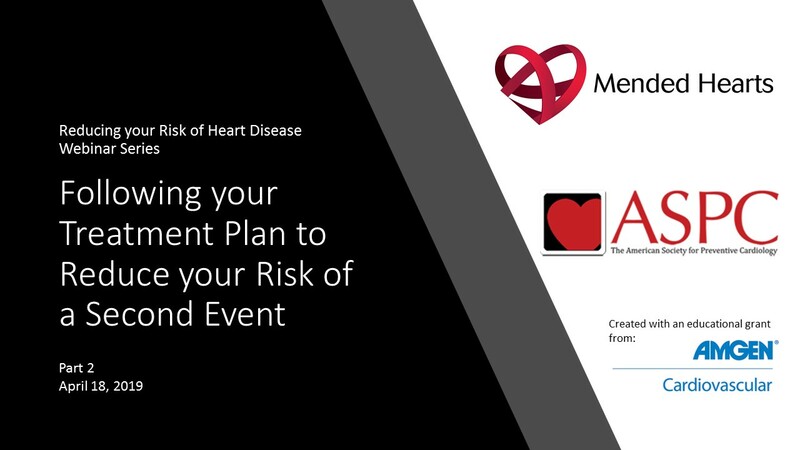 Join Mended Hearts and the American Society for Preventive Cardiology for part 2 of our Risk Reduction Webinar Series. In this session we will take a look at following your treatment plan to reduce your risk of a second event. A medical professional and an expert patient will join the webinar for an in depth look at this topic. Login: Register today to attend!